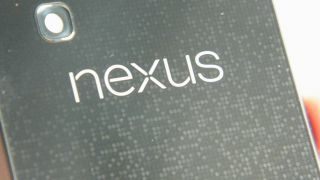 The bargain Google Nexus 4 smartphone has returned to sale in the UK, but new buyers face a wait of up to five weeks for delivery. The £239 (8GB) / £279 (16GB) smartphone flew off the shelves in less than half an hour when it launched last month and hadn't been seen on the Google Play store since. The LG-made handset became available again for the first time at 5pm on Tuesday evening, but it already seems unlikely that many users will receive their smartphone in time for Christmas. Crave reports that initially the shipping estimate was listed as 1-2 weeks, but that soon inflated to 4-5 weeks - at which it remains. The unfathomably long wait for delivery mirrors the 3-4 week wait some early adopters were asked to endure during the first run of sales in Britain. The shortages have overshadowed what should have been an overwhelmingly positive launch for Google, given the Nexus 4's stunningly competitive price point and impressive feature set. Both devices are still listed as available and you can still order them through the Google Play Store, but surely something that already exists, but takes over a month to deliver, is simply out of stock? If you want one before Christmas you can still get it from O2 and, from later this month, Three UK. However, there's no super-cheap SIM-free deals on those networks.